The Korean iPhone supplier industry is worried. About the tepid sales of the iPhone X in this and the next quarters, that is. Apple, as well as analysts following it, initially forecast overall sales of the X at a cool 100 million, and the OLED display orders to Samsung indicated it in all earnesty, too. The high price, and people's changing habits to keep their current phones longer, however, put a monkey wrench in those plans, and iPhone X suppliers reportedly got a 50% order cut this quarter, including Samsung, which was left with OLED display production overcapacity. This would mean that Apple expects to sell half of the X units that analysts were clamoring for, but that's not all. 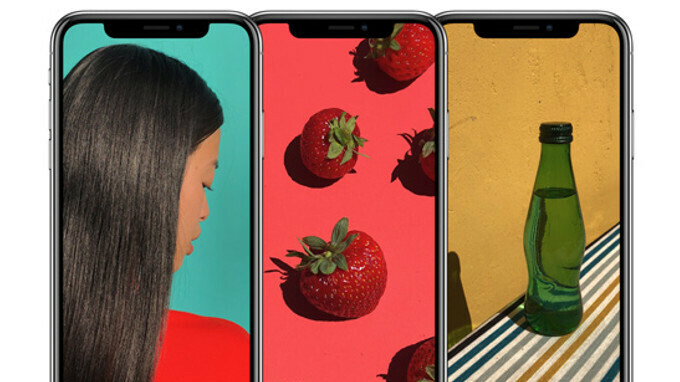 Today, supply chain insiders and analysts are abuzz with the notion that Apple may order the Korean OLED industry just 50-55 million panels for the 2018 iPhone crop, even though it plans to launch not one, but two phones with such screens, the tentatively named 5.8" iPhone Xs, and a 6.4" iPhone Xs Plus. The panels for the first one are likely to again be sourced from Samsung, while Apple is rumored to diversify with LG as the larger screen's supplier. This is a huge cut for the Korean parts industry orders, and the report says that "not only OLED, but also secondary suppliers manufacturing components and materials such as rigid printed circuit boards (RFPCB) and OLED materials, have been hit." After getting slammed by the sluggish iPhone X sales, the companies were hoping for a recovery in the second half of the year, but it may turn out that Apple will have much humbler estimates for the sales of its OLED iPhones this year, and will be betting on an eventual more affordable LCD model instead. That one, dubbed the iPhone 9, is expected to sport a 6.1" screen, but it will be supplied by Japan Display and Sharp, apparently, leaving crumbs for Korean companies. While Apple's renewed interest in LCDs is said to result in 150 million units of the iPhone 9 sold overall, up from a 100 million forecast before, the switch will come entirely from the diminished orders for an iPhone Xs and Xs Plus, so you can see why the Korean firms are worried. The initial hopes for a 50/50 distribution between Apple's future OLED and LCD models, are apparently down in the doldrums. The report even goes as far as to say that they may be having to send workers in unpaid leave, that is how much Apple's orders can make or break suppliers, be it juggernauts like Samsung or LG. ”Apple, as well as analysts following it, initially forecast overall sales of the X at a cool 100 million, and the OLED display orders to Samsung indicated it in all earnesty, too.” Apple has never mention their sales expectations of the iPhone X, only analytics have done that and been way off. Apple meeting their own guidance for the latest report tell us Apple are spot on with their own forecast so far. When Apple start breaking down their sales properly I'll believe in "hard" numbers. The point is that they never have. Again, you have their guidance, number of sales and revenue. All you need to tell that it was perfectly inline with their expectations. Had the fantasy analytics numbers also been Apples expected numbers they would missed their guidance by far. Its is the fact. Ok. If it makes you feel better. When it comes to statistics they must be backed up by figures to become fact. Apple don't release their figures. Therefore, by definition, your postulations are no more accurate than the analysts. In "fact" the supply chain figures are the most accurate despite your slavish belief in everything Apple says. Of course they do. What is it that you do not understand? They release sales numbers, revenue and we have their guidance to tell us about their on expectations. You do get that if those fantasy numbers that some analytics suggested would have been inline with Apple own expectations Apple would not been even close to meet their own guidance, right? It’s as simple as that. They release total numbers. No specific unit sales. For example: "Apple watch sales increased by 25% year on year and is the best selling smartwatch in the industry." I don't doubt that statement at all. But increased by 25% over what figure? It may be true but it's meaningless without comparative figures year on year. We are talking about iPhones here and we know that number. You don't need that number broken down to specific model to see that iPhone X sales were really good and inline with Apples expectations (guidance) since we know the revenue from iPhone sales. But again, the guidance for sales numbers/revenue would have been MUCH higher if Apple also where expecting those kind of crazy fantasy numbers that some analyst expected (and that PhoneArena suggest Apple also expected). They did a poor job foreseeing the amount of units of such an expensive phone being sold. Apple did not, at least not so far. Overall iPhone sales fell from the same period last year. Fact. Spin any way you like but that won't change. Yes, that is correct (but just because one week less in the quarter compared to last year though) and it only supports what i'm saying because the revenue (ASP) went up alot, which again tells us that iPhone X sold very well. Good. I always thought OLED was overrated, I have an S7 Edge with the keyboard burned on screen. Just put in a LCD with cleverly-implemented Always On Display (like LG flagships) and low power consumption, and I can't see why you would bother with OLED. Samsung Display did just fine before Apple started using OLED and they will do the same if Apple stop using OLED. Thumbs up if you dont care what screen tech on your current or future devices as long as it's sharp! No trolls, just real opinion. Apple can not break sammy with oled orders. Where did you get this idea from iboy?